Mindfulness-Based Stress Reduction, or MBSR as it is commonly known, is a type of mindfulness training that can benefit people who suffer from stress, anxiety and other forms of psychological distress. It isn't reserved solely for those with a diagnosed condition though. MBSR is beneficial to anyone who wants to learn how to better cope with a fast-paced, stressful, unforgiving world. Because MBSR helps people make better judgments in life through the objective watching of emotions, courses are now being offered to employees by big companies such as Apple and Google. If you aren't lucky enough to have an employer to send you on a course, you might like to take advantage of the official MBSR online course, which provides the convenience of distance learning. 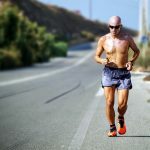 Having taken the course myself and found it incredibly insightful and useful, I thought I'd do a run-down of what to expect for others thinking of doing the same. I hope you find it useful. Since its inception, more than 22,000 people have completed the Mindfulness-Based Stress Reduction Program with the University of Massachusetts and learned how to use their innate resources and abilities to respond more effectively to stress, pain, and illness. The course combines elements of meditation with modern medical techniques, and is a systematic way to cultivate clarity, insight, and understanding into our lives. People who suffer stress from work, school, family, financial worries, medical problems, grief, or general anxiety can all benefit from this online training. The course is also recommended to people who suffer from symptoms of other kinds of distress, such as depression, fatigue or sleep disturbances. 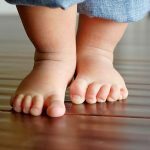 The MBSR online course focuses on prevention and wellness techniques, demonstrating the best way for you to take care of your physical and mental health, and how to create a greater feeling of resilience and balance. Therefore, those who suffer from chronic medical conditions such as high blood pressure, fibromyalgia, cancer, heart disease, asthma or other long-term medical conditions will also find it beneficial. 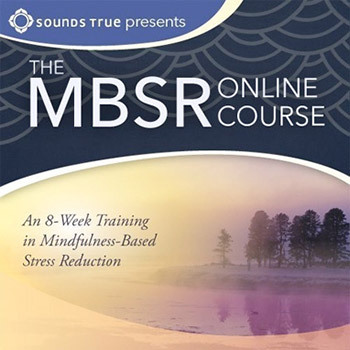 The MBSR online course is led by Dr Saki Santorelli and senior instructor Florence Meleo-Meyer, both from the Stress Reduction Clinic Team at University of Massachusetts. Dr Santorelli is the current director of the Stress Reduction Clinic, as well as the executive director of the Center for Mindfulness, Health Care, and Society at UMass. The Senior Instructor, Florence Meleo-Meyer, is also a member of the executive leadership team for the same Center. Both are providing instruction from techniques based on over three decades of research and development. 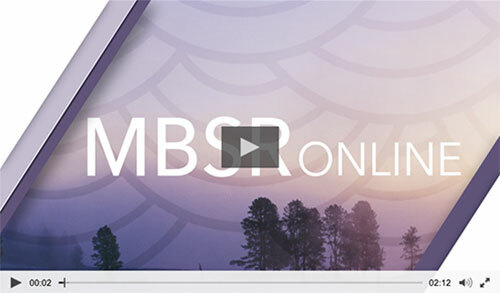 The MBSR Online Course is currently the only complete online training course in MBSR. It follows the same, well-respected method on Mindfulness-Based Stress Reduction that is taught at the Center for Mindfulness in Medicine, Health Care and Society at the University of Massachusetts Medical School. Students can expect to receive the same quality as attending an in-person course, but at a reduced price. US customers taking part in this course will also receive 30 CE credits. **A continuing education unit (CEU) or continuing education credit (CEC) is a measure used in continuing education programs to assist the professional to maintain his or her license in their profession. Reduced physical & psychological suffering in terms of stress and tension in the mind and body. Improved levels of energy and a greater enthusiasm for life. Increased ability to deal with challenging situations in a calm, composed way. Increased ability to relax, even when faced with stressful circumstances. Reduced feelings of anger and frustration. Better relationship management at work and in your personal life. The course schedule is spread over eight weekly classes, plus an additional one-day class. Included in the training modules are over 16 hours of video and audio to download, which comprises of instruction on mindfulness meditation, stretching, yoga and guidance on how to enhance mental clarity and heightened awareness in everyday life. There are also four hours of audio-guided mindfulness practice. During the course, you’ll also need to complete an online journal. This is checked and feedback is provided by the course instructors. This provides a useful way to record, reflect and document your experience. Emptying your thoughts on paper, so to speak, will help you work through mental blockages. After completion of the course, you will check back through your progress by participating in one of the two annual live sessions provided by the course instructors. This is provided as their ongoing commitment to your wellness, post the course. To start the course, you’ll first need to take part in an orientation session. During this introductory session, you’ll get to grips with MBSR and learn how this practice has become an accepted part of mainstream medicine and how it can positively affect the quality of your everyday life. After the introduction, you’ll begin eight weekly classes and complete one all-day session. In the first week you’ll receive an overview of the course that gives you an opportunity to establish the learning context for the rest of your experience. You’ll learn about the theory and evidence of mind-body medicine, mindfulness, and how to apply it to your daily life. Week 2 focuses on the concept of mindfulness: Here you’ll examine your own perceptions and assumptions of the world. You’ll learn how to use the body-scan practice, which cultivates a greater degree of awareness and perception of stressful situations. In week 3, you’ll begin to practice several important mindfulness practices, including hatha yoga, sitting meditation and walking meditation. By discovering that there is both pleasure and power in being present, you’ll be able to directly understand how your experiences create different reactions, such as pleasure or discomfort. Week 4 further develops these ideas and you’ll focus on developing your ability to concentrate and systematically expand your field of awareness. You’ll learn about the physiological and psychological bases of stress and then experience positive strategies for how to respond to distress. By week 5 you’ll be halfway through the course, and after developing a good base and familiarity in mindfulness techniques, the focus now shifts to target points. These may include particular areas where you may be stuck in your life or notice unhealthy patterns and habits. You'll then learn how to apply mindfulness to produce proactive responses to these things. You’ll also learn how to apply mindfulness at the most critical moments in your life, such as when you experience extreme physical or mental sensations. In week 6, you’ll learn about resilience, or ‘stress hardiness’, and the ability to return to equilibrium after distressing situations. Between weeks 6 and 7 there is a day-long, guided retreat that focuses on putting all the techniques you’ve been learning about into practice. The session lasts for six hours, and the aim of this intensive session is to enable you to be able to effectively use MBSR skills in multiple situations in your life after you complete the online training program. After the day-long retreat, the focus shifts to how to make Mindfulness a lifetime commitment. In week 7, you’ll learn how to maintain the discipline of daily mindfulness mediation. As circumstances change over the course of your life, you’ll need to understand how you can integrate Mindfulness more fully into your life. Then, in week 8, the final session covers a complete review of all that you’ve learned. You'll also learn about further resources that are available so that you can continue to pursue mindfulness in new directions after the course has finished. This final class really encourages you to use the techniques you’ve learnt in the course throughout the rest of your life. The course is currently offered at a discounted price of $197, down from $297. This special offer is available to all clients who book and pay through the soundstrue.com store. Follow this link and add to your cart to make sure you get this discounted offer. This online course is available as a digital download only. Elements from the in-person MBSR course workbook are provided to you in PDF format, alongside more than 16 hours of downloadable video and audio for the 8 weekly classes and one-day session. You’ll also receive 4 hours of audio guided mindfulness practice as part of the course, ready for you to download. The MBSR course is offered with 100% guarantee. So if you start it and think for whatever reason it isn't for you, you can refund the course with no quibbles. That being said, I am sure you're going to find this as life-changing as I did and really valuable in your personal progression going forward. ‘Audio Practice: On Kindness’ (presented by Florence Meleo-Meyer, lead instructor of the MSBR online course). 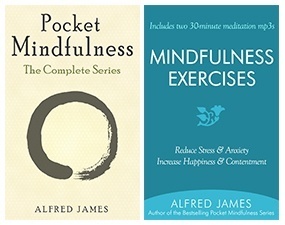 ‘A Year of Mindfulness: Weekly Practice Suggestions for Living More Mindfully’. You’ll be able to download these bonuses free alongside the main course, if you take part in this special offer. In addition, you’ll also receive a $50 discount voucher for any further purchases of selected mindfulness-based learning resources over the value of $95 from Sounds True. Also, for a limited time, you will also receive a digital copy of ‘Adventures in Mindfulness’, by Jon Kabat-Zinn. This downloadable version provides six hours of additional training by the founder of MSBR. The course is the only one of its kind delivered by qualified teachers from the founding University of Massachusetts Medical School & Center of Mindfulness. And this really shows in terms of the depth and the professionalism of the structure of the course and materials provided. I would go as far as to say that this is better than the majority of in-person courses and retreats I've attended, mainly because these are usually a two-day affair and lack the depth and thought-design required to probably engage you and give you the know-how to move forward and apply the practices successfully in your life in the medium and long term. What I would say though is that you need to make a commitment to follow the program in its entirety. It requires you to do this on your own time; there's no one dragging you along to a local center or retreat, so you must be self-motivated. That being said, there's no pressure, so take it at your own pace and enjoy it. While this is a learning experience, it's also a liberating, fun, profound exploration of your mind and body that will begin to unlock potential and happiness that you never thought could exist. >> Click here to watch a short video on the course.